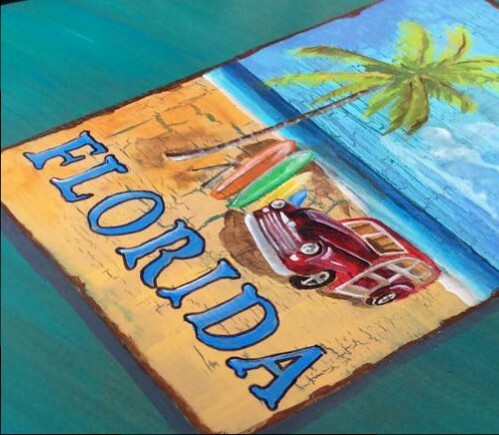 Everyone loves Florida….but only some are lucky enough to call it home. This post will introduce you to a family so talented and unique, I’ve often wished to be adopted into their little clan. For a period of time I feel that I was, and I’m very thankful for the time they generously spent being a surrogate family to mine while we lived in Florida. The Wackes family–Jane and Alan Wackes, their daughter Megan Wackes Wells, and their daughter-in-law Lou Velarde Wackes–are my featured artists for the summer. I find it simply amazing for so much talent to abound from one family. Separately, each of their work is very different–different themes, mediums and all that artsy talk. Together, their work is an eclectic mix of some of my favorite things. With way too much goodness for just one post, I’ll take time to feature each artist individually in different blog posts. I have no doubt you’ll adore their stories and beautiful work. 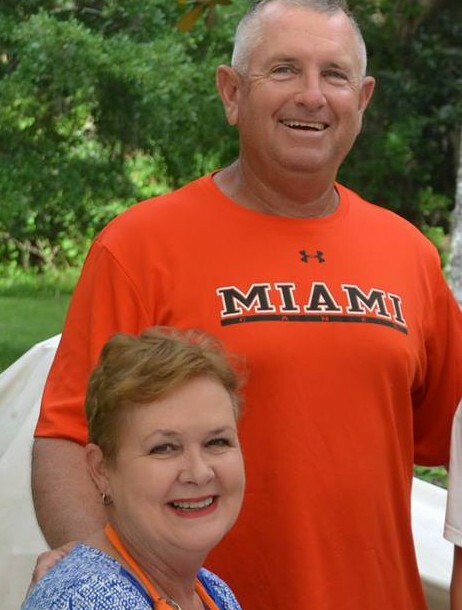 Jane and Alan Wackes are Ft. Lauderdale natives and darling (I’ve seen the photos!) high school sweethearts. They married and raised three children, Robb, Katie, and Megan. Alan is a retired contractor, and Jane has never quite retired from busily working in the home. 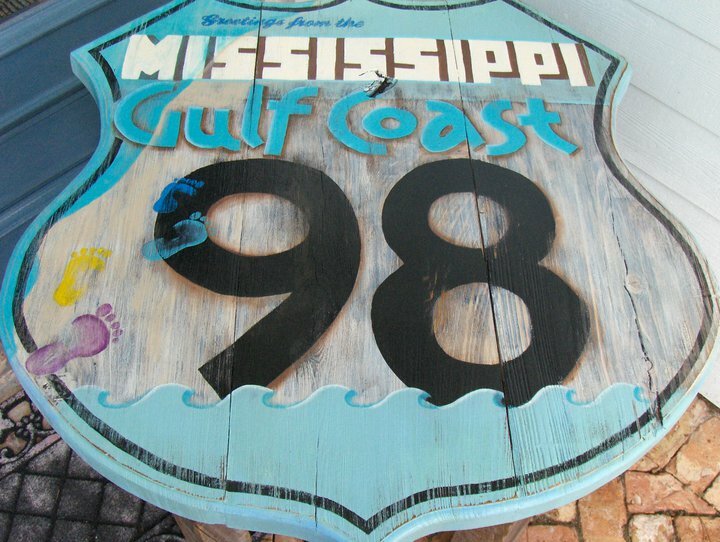 Showin’ some love to my home state! We met the Wackes family at church shortly after moving to the Ft. Lauderdale area in 2008. Soon they were sharing everything with my family from Fourth of July fireworks to “Christmas Adam”–a clever Wackes thing. (Jane says since Adam came before Eve, the day before Christmas Eve is “Christmas Adam!”) My children even knew them by their endearing grandparent names, “J-mom” and “Pop,” and though years have passed, my oldest child still remembers them as the “artist family” in Florida. 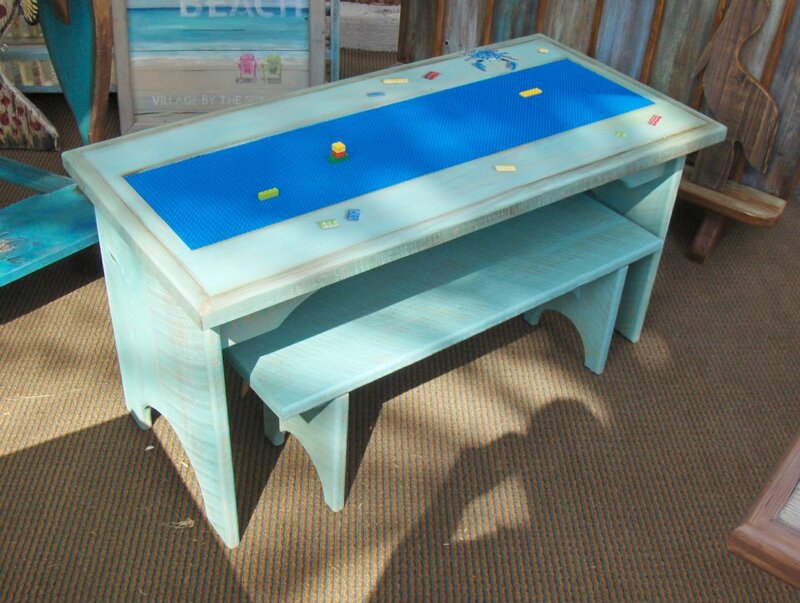 How cute and functional is this lego table? Alan was always a skilled woodworker, and Jane a talented artist and crafter. Once retired, they were able to dedicate more time to their love for creating, and after several joint projects they began SonRooms Furniture and Art. Together they create unique furniture and art, with Alan constructing the pieces and Jane completing them with vibrant designs. 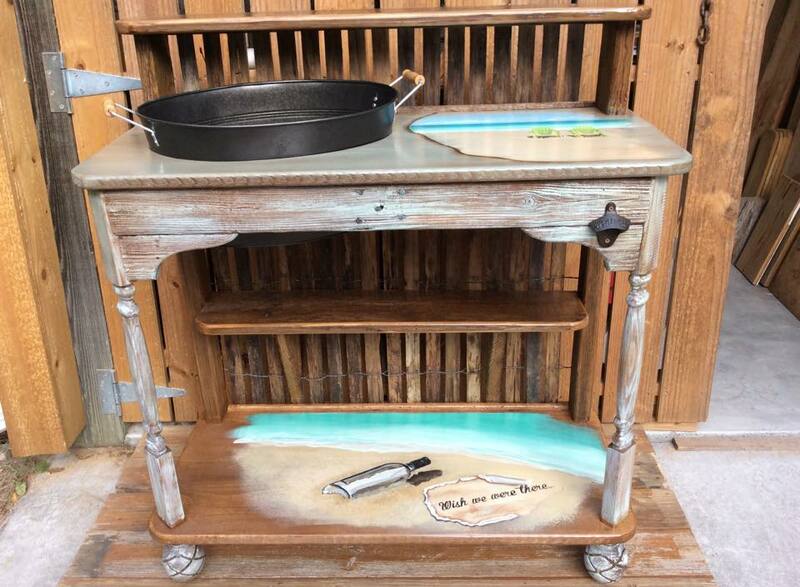 Between Jane’s unlimited imagination and Alan’s excellent woodworking skill, SonRooms produces hand-crafted pieces unlike anything you’ve seen. True to their Florida roots, Jane and Alan’s creations have a “classic and coastal” vibe. 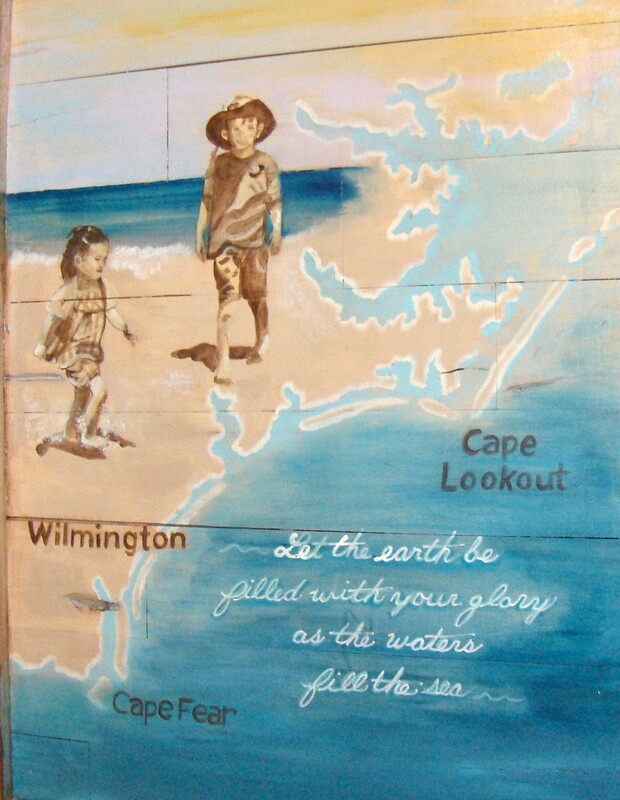 Using various forms of reclaimed lumber from Florida docks, the finished product is beautifully rustic with the original saw marks and patina that “only time can create”. Wet bar complete with ice bucket and bottle opener! Pieces range from dining room sets to wooden sea creatures and anything in between. Alan will build to order and Jane can paint whatever your imagination thinks up! The couple travels to select art shows and have become a sought-after vendor. Before leaving Florida, I knew I wanted my own SonRooms masterpiece. I described for Alan the type of table I was looking for to use as a TV stand, and he built it. Jane used a special technique to paint the piece and to this day our family cherishes it. I have many antiques and family heirloom pieces, but the first piece people comment on is my SonRooms table! I am super thankful for my connection to this family. Moving frequently, God always puts a family or two in each place we go who takes-in our young family, providing a place of comfort when we are far from home. While the artistic talent is a unique bond for this family, they are held together by much more than their pursuit of creating. Keeping their faith at the center of their lives–during good times and bad–is the bond that keeps this family whole. I learned a lot about art and free-living from the Wackes’. I also learned that keeping God alone on highest display in life is the surest way to find contentment. 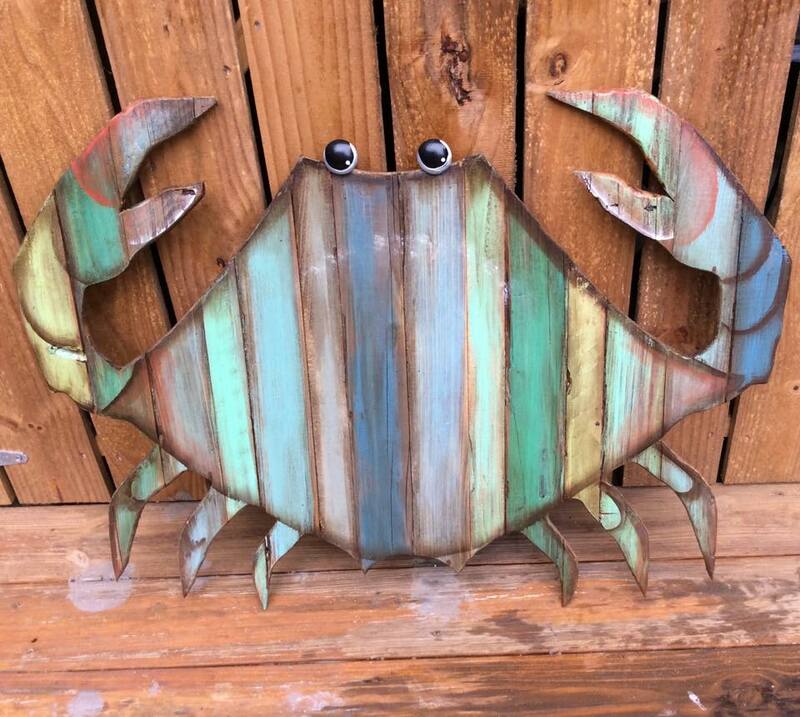 Crab-walk on over to Facebook and “Like” SonRooms Furniture and Art. Browse their gallery of amazing work, and keep up with locations for their next art show. Jane and Alan now live in Yankeetown, FL where they enjoy the slower pace and beautiful landscape.